Complete SMARC module thermal solution. 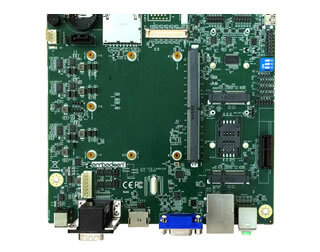 Especially designed for i.MX6 dual core and quad core SMARC module that runs multimedia applications and for future higher end SMARC modules. Additional M3 threaded holes for attaching a fan. 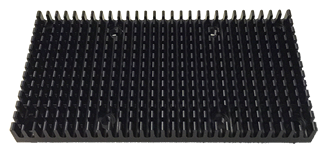 The VTT-HS-8J064 SMARC Module Heatsink is a complete thermal solution. Heatsink is mounted to the SMARC carrier board by means of 4 screws of M2.5 x12mm thread each. The screws can be mounted from the top. There are additional M3 threaded holes for attaching a fan to the heat sink, if required. Not all SMARC modules from Embedian require heat sink spreader. This VTT-HS-8J064 SMARC Module Heatsink is designed especially for i.MX6 dual core and quad core that runs multimedia applications and for future higher end SMARC modules.